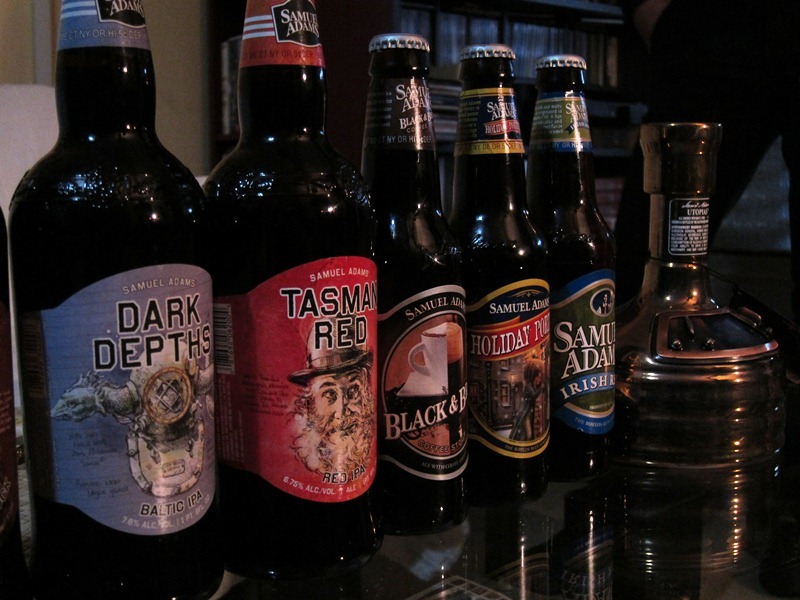 You know all those American beers we review? We work hard to get them. Hustle friends, trade, be kind to strangers. We sometimes pay thrice as much for a bottle of decent American craft beer than what the Average Joe pays at Trader Joe’s. American beers are simply unavailable here in Israel. I guess it’s a combination of higher shipping costs and the natives’ preference of heavy Belgians that leaves us an availability of three American brands only, of which one is Miller Genuine Draft. Thankfully the other two are Brooklyn and Samuel Adams. These two breweries produce some great stuff, although most of it doesn’t make it here. The importers are still hesitant and stick to the popular and mentally accessible styles released by the breweries. Thus, for the limited editions and seasonal releases we still need to lobby whoever visits (from) the US or takes a pilgrimage to a large craft beer store in Europe. 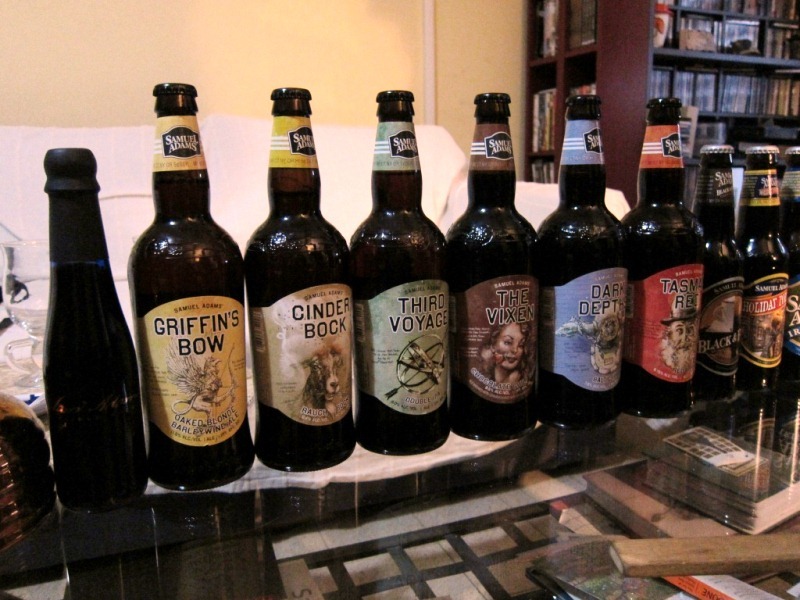 See, none of the 11 different Sams that were opened in the historic tasting that took place in our place last St. Patrick’s Day were bought here, though only a handful of them can be considered as rarities. Anyway, this entry is about lagers, which are most likely the best-selling beers from each brewery. 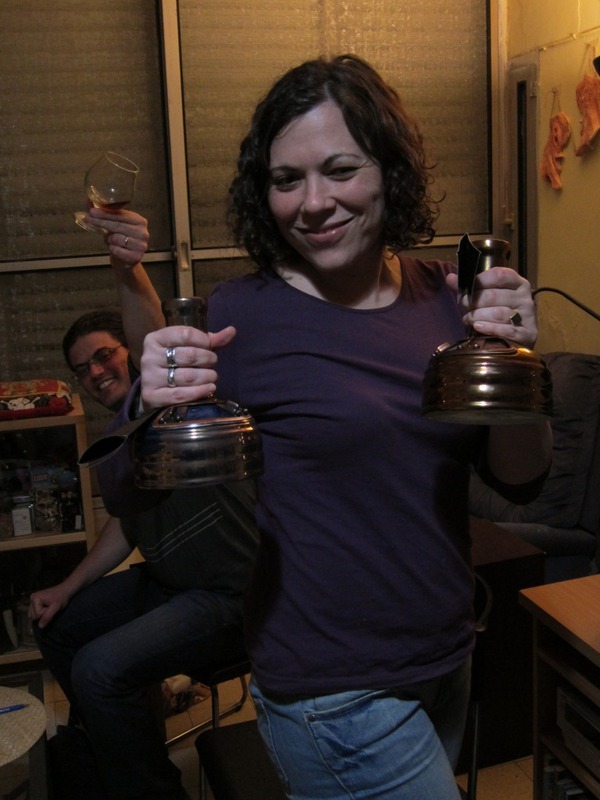 for the purpose of this blog we drank Samuel Adams Boston Lager in a smoky, trendy and quite repulsive Tel Avivian bar, into which we entered one Friday night. The glass was filled with clear golden liquid that was protected by white head. We managed to smell some straw, malt and minerals but because the bar was so condensed sniffing was quite a challenge. The beer tasted bitter and wholesome and with its light body and sticky texture, I could’ve easily adopted it as a default summer beer in our regular, had our regular not been a brewpub, or if the other pubs we frequent didn’t carry kegs of Pilsner Urquell. We opened a bottle of Brooklyn Lager last night, a a companion to a rich and heavy stew that called for a thirst-quencher. 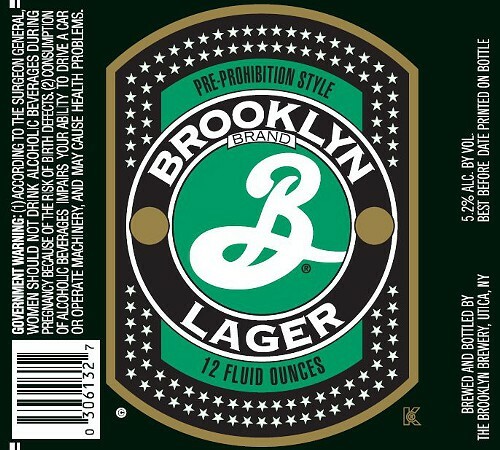 Brooklyn is Vienna lager, darker and more complex than your usual blond. The beer has a clear deep amber colour and it smells of candy, malt and caramel. Caramel was apparent in the mouth as well as bitterness. Light body, long and mildly bitter finish. Quite enjoyable but like former, this lager is definitely not the brewery’s best feature. 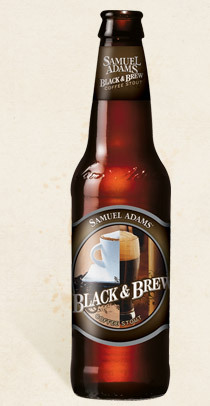 Samuel Adams Boston Lager and Brooklyn Lager are beers #197 and #198 I Must Try Before I Die. These are certainly not the last American beers on this mission. In fact, two other American beers which are unavailable in Israel will be the center of the next entry. Stay tuned.